When Congress returns in September from its five-week recess, lawmakers will need to quickly turn to some contentious business left over from July: approving an emergency spending bill to cope with the recent wave of unaccompanied migrant children and families arriving at the U.S.-Mexico border. The issue carries far-reaching practical and political implications, not only for the treatment of unaccompanied minors and border operations, but also for upcoming battles in Congress over spending and immigration policy, and for the future of the broader immigration debate. Looming over all these issues: President Obama’s expected announcement of executive actions to offer some relief to a sizeable share of the nation’s estimated 11.5 million unauthorized immigrants. The surge in the arrival of unaccompanied children and families—the vast majority from Central America and primarily entering in Texas’ Rio Grande Valley—has recently declined, with apprehensions for July dropping 50 percent from the prior month. But the decline is unlikely to reduce the political urgency of responding to what observers on all sides have described as the child migration crisis. For the first ten months of fiscal year (FY) 2014 (October 1 through July 31), the Border Patrol had taken into custody an unprecedented 62,998 unaccompanied children (UACs) and 62,856 adults traveling with children (family units). By comparison, during the same time period in FY 2013, 31,491 unaccompanied children and 11,001 family units were taken into custody. A confluence of factors—violence and endemic poverty in Central America, increasingly sophisticated smuggling networks, the desire to reunite with long-separated family members in the United States, and U.S. policies that offer increased protections to unaccompanied minors—has given rise to this phenomenon. The child migration surge, which began in 2012 but spiked to crisis proportions this fiscal year, has saddled government agencies with significant costs and challenges while garnering intense national media and political attention for most of the summer. In the absence of new funding from Congress, the Obama administration has diverted funds from other Department of Homeland Security (DHS) operations to meet immediate costs. It has also announced several policy changes to address the situation at the border, including accelerated immigration hearings for the child and family arrivals, transfer of immigration judges to border areas, a program to provide legal counsel to some unaccompanied minors, and public service campaigns aimed at discouraging future flows. The administration also has floated the idea of a pilot program in Honduras to process refugee claims in-country. Despite broad consensus in Congress over the need to urgently address the child migration crisis, the fraught politics of immigration once again derailed legislative action, underscoring how entrenched the political challenges over any change to U.S. immigration policy have become. The House passed a $694 million package on August 1, significantly whittling down the administration’s request for $3.7 billion for the shelter and care of child migrants, increased resources for immigration courts, border operations, and aid to Central America. Senate Democrats, who had devised a $2.7 billion package, were unable to gain approval for their proposal. The Senate bill, which unlike the House legislation proposed no statutory changes to how unaccompanied minors are treated once they arrive in the United States, cleared an initial procedural vote. But the spending package foundered amid two complicating factors: a handful of Senate Democrats in competitive re-election races indicated that they would not support the measure on final passage unless it contained sharper measures to deter the flow of unaccompanied children. And a group of Republican senators, led by Sens. Jeff Sessions of Alabama and Ted Cruz of Texas, sought legislative changes that would prohibit the Obama administration from expanding the Deferred Action for Childhood Arrivals (DACA) program. The DACA program, implemented in 2012, provides two-year relief from deportation and a grant of work authorization to certain unauthorized immigrants who came to the United States as children; many Republicans view the program as a magnet for the UAC arrivals. Lacking the necessary votes for the spending bill, the Senate leadership withdrew it from the floor. With Republicans bringing DACA into the debate over the child migration crisis, and perhaps hoping to affect the dynamics of the House vote over the emergency spending bill, Senate Majority Leader Harry Reid (D-Nevada) warned that he might attach to the House-passed bill the comprehensive immigration reform legislation that passed the Senate in 2013 but was never taken up by the House. In the House, where the emergency spending legislation almost did not make it to the floor, political complexities were even more pronounced. The $1.5 billion package that House Republican leaders had originally planned, which was crafted after a House GOP task force traveled to Central America, was suddenly pared down to $659 million amid doubts that enough Republican support could be obtained. Even then, a faction of House immigration hard-liners, encouraged by Sens. Cruz and Sessions, mounted opposition to the plan over its cost and its failure to include a provision suspending the DACA program. In an embarrassing turn for the brand-new House Republican whip operation, House leaders were forced to pull the bill from the floor on the last day before recess. Fearing the political fallout of returning to their districts without having addressed the crisis, mainstream GOP members convinced House leaders to postpone adjournment and continue negotiations. The next day, House Republicans sequenced two votes: a $694 million spending package that included statutory changes to speed up screening, court hearings, and the repatriation of unaccompanied minors, which passed 223 – 189; and a second bill suspending and prohibiting expansion of the DACA program, which passed on a 216-192 vote. President Obama called the House bill “extreme and unworkable” and warned that he would veto it. It was clear that the Senate would neither take up the House legislation nor reconcile it with its own pending bill. A number of observers suggested that the House action was symbolic, intended only to satisfy the public relation needs of the party. Several roadblocks are sure to resurface when Congress revisits the issue in September. The first is whether to amend the Trafficking Victims Protection Reauthorization Act (TVPRA), the 2008 law that Congress passed without opposition to combat human trafficking. Under TVRPA, unaccompanied children from Mexico (and Canada) can be quickly returned to their home country after being apprehended by the Border Patrol. In contrast, unaccompanied children from all other countries are transferred to the custody of the Office of Refugee Resettlement (ORR), an agency within the Department of Health and Human Services, and reunited with family members in the United States while they await an immigration court hearing. The White House initially expressed openness to amending TVPRA and to subject unaccompanied minors from noncontiguous countries to the same screening, detention, and repatriation procedures as Mexican unaccompanied minors, who are overwhelmingly returned to Mexico. But the administration, under pressure from congressional Democrats and human- and immigrant-rights advocates, backtracked. Republicans widely support amending TVPRA, which they view as another magnet for the child migrant flows, and have pledged not to approve a spending measure unless that is achieved. Second, there is sharp disagreement over how much funding to provide the administration and how to pay for it. While appropriators in both chambers shaved substantial amounts from the White House’s $3.7 billion request, the Senate gap proved far smaller and did not include the House legislation’s demand to identify spending offsets elsewhere in the federal budget. Lastly, Republicans are intensely divided over whether to link the supplemental appropriation to a measure that would rein in the DACA program, either by expressly ending it for current or future applicants or accomplishing the same by prohibiting spending on program implementation While a number of House and Senate conservatives have said they will insist on terminating DACA, fearing the Obama administration soon will announce plans to expand deferred action to new populations, more moderate Republicans contend that an attack on DACA will be interpreted as extreme and anti-immigrant. While House Speaker John Boehner (R-Ohio) maneuvered around the roadblock last month, with separate votes on the funding and DACA bills, it is not clear how the Senate and the Congress as a whole will clear the same hurdle. Beyond those obstacles, a brewing dispute over providing child migrants legal representation in immigration proceedings could also further complicate the picture. In the near term, the impasse will be most directly felt at the border. DHS (as well as the Department of Health and Human Services) has transferred funds from other programs to address the child migration crisis, stoking concerns that resources and attention are being diverted from DHS’s other missions at the border. While recent declines in Central American child and family unit flows may suggest that the crisis has abated, at least for now, it remains unclear how long the reprogrammed funding can last. The spending debate, difficult in itself, may become even more complicated and get embedded in the larger impending appropriations fight. 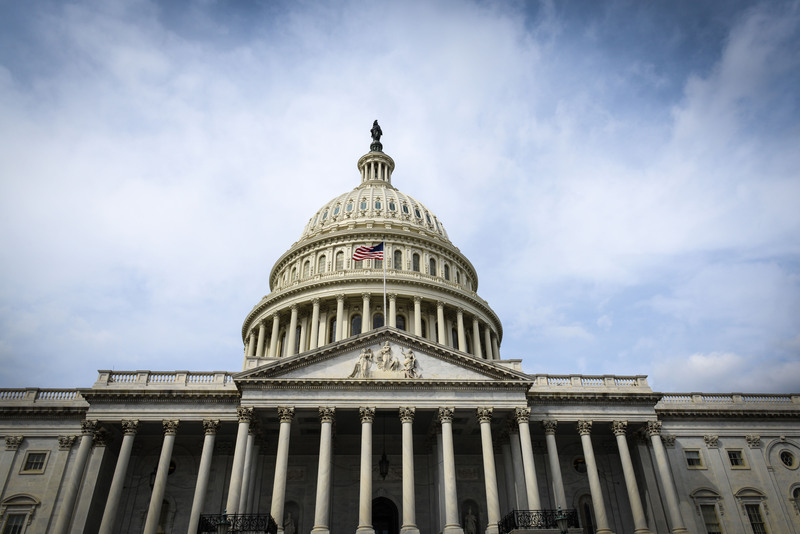 Having failed to reach an agreement on the FY 2015 budget, Congress must pass an omnibus spending bill, known as a continuing resolution, to keep the government funded after the fiscal year ends on September 30. With Senator Sessions already calling for a vote on DACA suspension prior to consideration of any spending bills, a major standoff looms. If the House majority aligns itself with Senator Sessions and insists that DACA termination be included in the continuing resolution, the Senate Majority Leader may deliver on his warning and include the Senate’s sweeping immigration reform legislation, S. 744. An analogous stalemate last year over adding Affordable Care Act policy riders to a must-pass continuing resolution caused a 16-day government shutdown. Time will be short to reach a compromise: the Senate is in session 17 days in September, the House just ten. Lastly, the child migration crisis has altered the immigration debate in fundamental ways. First, the surge in arrivals and the huge attendant media coverage have reopened debate over whether the U.S.-Mexico border is truly secure. Even though overall apprehensions remain at historical lows and deployment of manpower, technology, and infrastructure at the border are at a record high level, the intense press coverage of recent months has re-energized the narrative that the border is out of control. With a secure border long demanded by Republicans as a precondition for broader immigration reform, proponents of comprehensive immigration reform have suffered a major setback. Similarly, the unaccompanied minor crisis has fueled concerns that generous policies toward unauthorized immigrants inevitably act as a magnet for further illegal immigration. The notion that the DACA program has spurred the recent surge is certain to create skepticism toward future legalization proposals. These doubts may impede or delay any efforts by Congress to address the legal status of the estimated 11.5 million unauthorized immigrants in the United States. And while the crisis has apparently not deterred the president from using his executive powers to address the plight of the unauthorized population, serious questions about the wisdom of generous immigration policies increase the political risks of such a move and invite sharp political response. There are also indications that the child migrant crisis has hardened public opinion on a number of immigration-related issues. A new Associated Press-GfK poll found that 51 percent of Americans support legislative changes that would allow unaccompanied minors to be sent home without an immigration court hearing. The same poll found that more than two-thirds of Americans disapprove of President Obama’s handling of immigration in general, and two-thirds now say illegal immigration is a serious problem for the country, up 14 points since May. Appeals Court Blocks Arizona’s Driver’s License Denial Policy. The 9th U.S. Circuit Court of Appeals has struck down Arizona’s policy of prohibiting the issuance of driver’s licenses to beneficiaries of the Obama administration’s Deferred Action for Childhood Arrivals (DACA) program, which provides two-year relief from deportation and eligibility for work authorization. A three-judge panel on the appellate court held that the plaintiffs had shown that they were likely to suffer irreparable harm unless the policy was enjoined, and ordered Arizona to begin issuing driver’s licenses to qualified DACA beneficiaries. Arizona Gov. Jan Brewer assailed the ruling as “outrageous, though not entirely surprising,” and while not confirming the state would appeal to the full 9th Circuit, said Arizona would “continue to fight for the rule of law.” The ruling reverses a previous U.S. district court decision that denied a preliminary injunction of the Arizona policy. The lawsuit dates to August 2012, when Gov. Brewer issued an executive order barring DACA recipients from eligibility for driver’s licenses and other state benefits. The state continued to issue driver’s licenses to individuals with standard grants of deferred action (those other than the DACA program) but in September expanded the ban to anyone with deferred action to avoid a legal challenge on grounds that the policy violated rights to equal protection under the U.S. Constitution. Obama Administration Takes New Steps to Address Rising Central American Migration. In recent weeks, the Obama administration has unveiled a set of policies aimed at deterring unaccompanied child migrants and family units from attempting to enter the United States. A new policy directive from the Executive Office for Immigration Review (EOIR), the immigration courts system, allows for accelerated hearings for certain newly apprehended unaccompanied children and families, moving them up in the queue in a system where backlogs have resulted in a national average 587-day wait for a hearing. This “fast tracking” has invited criticism that it does not give enough time to find legal representation for child migrants, a concern for humanitarian advocates who note that most children already go into immigration court without a lawyer. In many cases, the hearings are also scheduled in courts far from where the children reside. The head of the National Association of Immigration Judges, Dana Leigh Marks, also criticized the fast-track process. The federal government also has begun deporting family units and, in some cases, has more widely adopted the practice of placing electronic ankle bracelets on immigrant mothers with young children awaiting deportation proceedings when released into the community pending their court date. Maricopa Country Reaches Settlement on “Self-Smuggling” Prosecutions. Maricopa Country, Arizona will pay $675,000 to settle a legal challenge to its controversial policy of prosecuting as co-conspirators unauthorized migrants who paid to be smuggled across the U.S.-Mexico border. Under the settlement, Maricopa County also will drop its appeal of a permanent injunction against the practice, handed down by a U.S. district court last October; the court found that the prosecutions are preempted by federal law. Before the injunction, Maricopa County routinely arrested, detained, and prosecuted unauthorized immigrants for conspiring to smuggle themselves, citing a 2005 Arizona law enacted to combat human smuggling and illegal immigration. According to the Arizona Republic, no one charged under the statute was ever convicted of the offense—instead, individuals pled to less serious felonies. TRAC Report Sheds Light on Juveniles’ Court Appearance and Representation Rates. According newly released data from the Transactional Records Access Clearinghouse (TRAC) on juveniles in immigration court over the last decade, 31 percent of closed cases were marked “in absentia,” meaning the juveniles do not show up at their hearings, and consequently, are ordered removed. The data also show that since 2005, 43 percent of juveniles have been represented by counsel in immigration court. Generally, juveniles who have legal representation have higher rates of success in immigration court. In 47 percent of cases where the juvenile was represented, he or she was permitted to remain in the United States, compared to just 10 percent of cases without legal representation. In its report, TRAC also detailed the specific outcomes for juveniles in immigration court and the reasons they are allowed to stay in the United States. As of June 30, 2014, juveniles account for 11 percent of all cases pending in immigration court. According to TRAC, juveniles are defined by the court as children under 18 at the time their case begins, and who are appearing alone. Department of Defense to Scale Back Use of Military Bases for Unaccompanied Children.The Obama administration announced in early August that it plans to suspend the use of military bases as temporary shelters for Central American child migrants. The federal government will phase out use of three military facilities—Fort Sill in Oklahoma, Joint Base San Antonio-Lackland in Texas, and Naval Base Ventura County in California—within the next two months. The military facilities have been an expensive solution for temporary housing; as the flow of child migrants has decreased and the Department of Health and Human Services (HHS) has increased its permanent shelter capacity, the need for their use has diminished. Additionally, HHS—which processes these children after they are apprehended by the Border Patrol—is considering additional permanent housing as a more efficient and cost-effective solution. Colorado Begins Accepting Driver’s License Applications from Unauthorized Immigrants. On August 1, Colorado began accepting driver’s license applications from people who cannot demonstrate lawful presence in the United States, after last year joining 11 other states in passing measures making unauthorized immigrants eligible for driver’s licenses. Immigrant-rights advocates estimate that approximately 150,000 unauthorized immigrants could receive driver’s licenses in Colorado. The licenses will be specially marked with a black stripe and cannot be used for federal identification purposes, such as boarding airplanes. District Court Strikes Down Montana Immigration Law. A district court has struck down a Montana ballot measure passed in 2012 that sought to bar unauthorized immigrants from access to state services by requiring state agencies to verify the immigration status of applicants with federal immigration databases. In the ruling, the judge stated that “state agents are unqualified and unauthorized to make independent determinations of immigration status,” and that “such determinations amount to immigration regulation that is pre-empted by the United States Constitution.” The ruling did leave intact a provision of the law that allows for state-federal communication regarding an individual’s immigration status. New York State Sheriffs’ Association Opposes Compliance with Detainers. The New York State Sheriff’s Association on July 30 recommended that its members refuse to honor immigration detainers; at least nine New York sheriffs have announced intentions to follow the guidance. An immigration detainer, also called an immigration hold, and typically issued by U.S. Immigration and Customs Enforcement (ICE), is a request that a law enforcement agency hold an individual for up to 48 hours beyond the time the person would otherwise be released, so that ICE can take him or her into custody for immigration violations. In recent months, a series of federal courts have found that immigration holds are not mandatory, and that holding an inmate solely by virtue of an ICE detainer is a violation of Fourth Amendment rights for which arresting agencies could be liable for damages. Since these ruling, a growing number of jurisdictions across the country have opted to limit compliance with ICE holds. According to ICE, that number has climbed to 134. New Mexico, New York Courts Issue Opposing Padilla Retroactivity Rulings. In June, the New Mexico Supreme Court held that a March 2010 U.S. Supreme Court decision, Padilla v. Kentucky, applies retroactively to 1990 in New Mexico. One month later, the New York State Court of Appeals held that Padilla does not apply retroactively in the state. Padilla held that Sixth Amendment rights are violated if a defense attorney fails to advise noncitizen clients facing criminal charges of the immigration consequences of a guilty plea. Following Padilla, the U.S. Supreme Court ruled in 2013 in Chaidez v. United States that Padilla cannot be applied retroactively. In Ramirez v. State, the New Mexico court held that Padilla applies retroactively to 1990 because in that year, the New Mexico Supreme Court had ordered all state courts not to accept guilty pleas without warning defendants in criminal cases of the immigration consequences of their pleas. Since no such requirements were ever applicable in New York state courts, the New York Court of Appeals in People v. Barret followed the Supreme Court’s decision in Chaidez denying retroactivity of the Padilla ruling. Bonnie Bui is an intern at MPI.